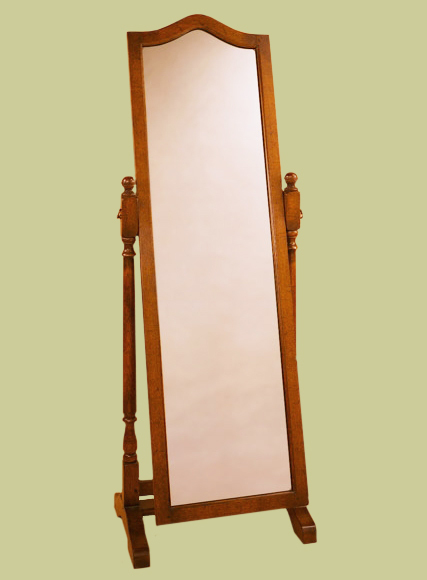 Oak Cheval mirror, floor standing, full height and tilt-able. Handmade and hand finished by skilled craftsmen in Britain in a choice of finishes. From our Wilmington fully bespoke bedroom furniture range. Select your choice from the SIZE & PRICE drop down menu below. Adjust your quantity if required.